SkyEye™ is a complete LED Street Light and Parking Lot Light System that runs on AC or solar with optional features including 95 CRI super bright LED lights, plug & play wireless controls, active intelligent motion sensing that controls up to 200 lights with a single motion, and a top-rated 6 meg pixel video security camera with built in storage and two way communication. 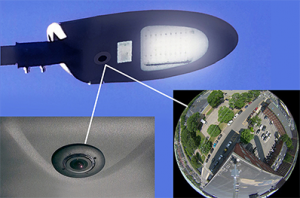 This means SkyEye™ provides the necessary light to illuminate the surrounding area to capture with the only 95CRI streetlight that can work AC or DC with full color high resolution, full color video at night and during the day, as well as 360º coverage for observation and surveillance. Whether installing new or existing sign lights, Sun-In-One™ has the perfect solar light kit for your needs. These kits are ideal for situations where it isn’t practical or cost effective to run traditional wiring. Our kits are completely designed and engineered to be plug-and-play, making them easy to install and use. We have 18 pre-designed kits for external sign lighting and internally lite signs using your Led’s or our Led tubes. These commercial grade kits can also be custom designed to meet your locations needs. We build these kits to last, so none of our kits have any parts that have warrants of just 1 year. 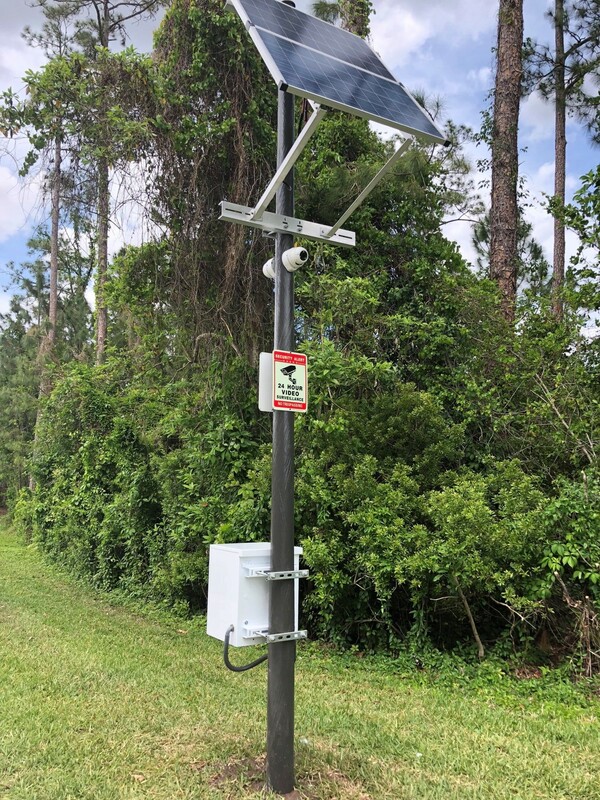 Sun-In-One™ has a line of exclusively designed solar surveillance power unit kits they can power any surveillance camera and wireless back-hauling including Wifi, Long Range RF or Cellular data. We have taken our extensive knowledge of off grid solar and designed and engineered kits of varying sizes depending on wattage needed by cameras and back-hauling. These kits include our controller that is Bluetooth enabled to solar panels, racking and enclosed battery housing. 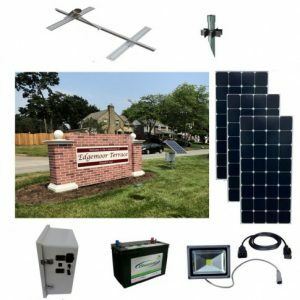 The solar security camera power kits run both AC or DC cameras and also provide a backup system for AC camera locations. Security does not have to be compromised because you do not have a power at your location. Sun-In-One™ solar security camera power kits solve your problems. We also customize kits for our clients to fit issues that could cause problems to others. Sun-In-One™ Solar Street Lights are the reliable way to light any outdoor area. 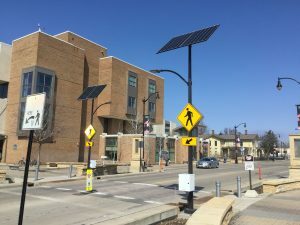 Whether you need light to enhance visibility or improve security, our solar powered lights are the most economical solution to light any roadway, parking lot, path, trail, billboard, sign, fence line or complex. These environmentally friendly, energy efficient off-grid lighting solutions lower costs by reducing the fees associated with conventional light bulb replacement and continued unwanted maintenance fees. 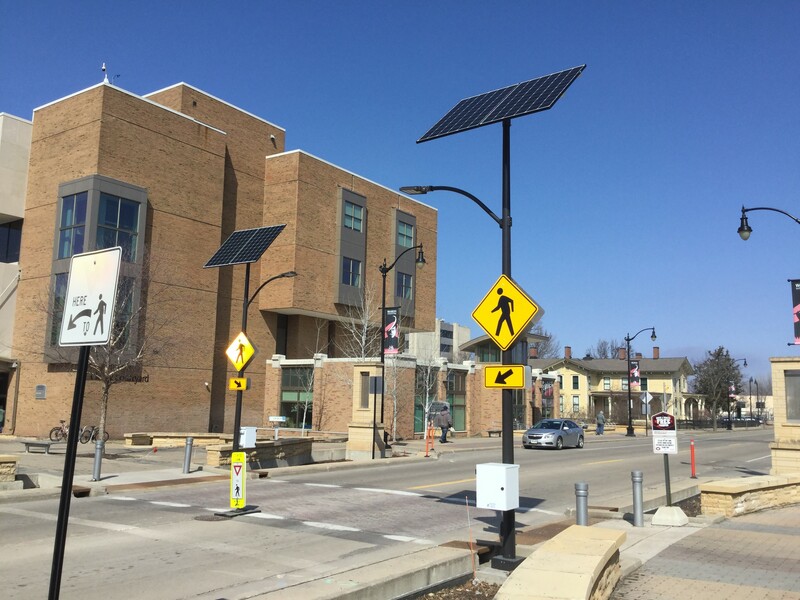 Sun-In-One™ solar street light is the only street light with a 95 CRI in the world. Our high quality light is 95% of the natural light compare and see why you should have such a high quality light for your needs. Charging your cell phone, rechargeable batteries, MP3 players, laptop computers, and other electronics are always a challenge during outdoor adventures, in remote areas or during power outages. 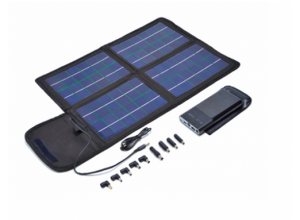 Our line of quality, portable solar panels provide a lightweight, compact recharging tool that’s easy to power many devices.